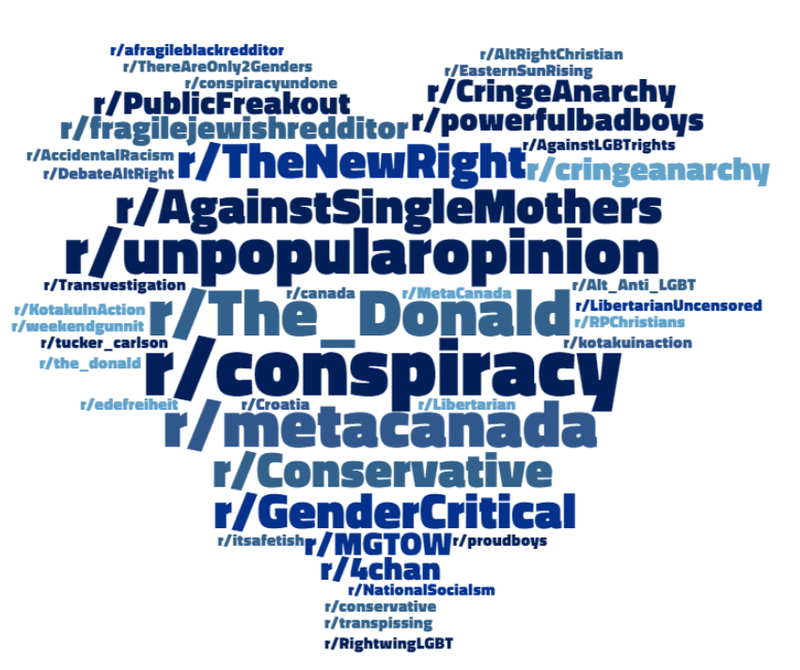 I’ve always been interested in the ever dynamic classification of hate on Reddit. As the post modernist set of moralities continues to expand, more and more subjects, ideas, and opinions become taboo. A growing creep of egg shells in Reddit’s ecosystem. One particular subreddit spearheads the outrage operations: /r/AgainstHateSubreddits. It being a new year, I wanted to get a clearer picture of the sub’s current targets. So I wrote a quick script to parse out all subreddits names from hot post titles and created a simple wordcloud. Font size emphasis is increased by frequency of occurrence. This entry was posted in DataViz on 01/14/2019 by MantasCode.